cDNA microarray analysis is a highly useful tool for the classification of tumors and for prediction of patient prognosis to specific cancers based on this classification. However, to date, there is little evidence that microarray approaches can be used to reliably predict patient response to specific chemotherapy drugs or regimens. This is likely due to an inability to differentiate between genes affecting patient prognosis and genes that play a role in response to specific drugs. Thus, it would be highly useful to identify genes whose expression correlates with tumor cell sensitivity to specific chemotherapy agents in a drug-specific manner. 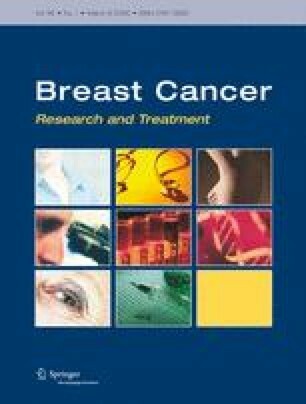 Using cDNA microarray analysis of wildtype MCF-7 breast tumor cells and isogenic paclitaxel-resistant (MCF-7TAX) or doxorubicin-resistant (MCF-7DOX) derivative cell lines, we have uncovered drug-specific changes in gene expression that accompany the establishment of paclitaxel or doxorubicin resistance. These changes in gene expression were confirmed by quantitative reverse transcription polymerase chain reaction and immunoblotting experiments, with a confirmation rate of approximately 91–95%. The genes identified may prove highly useful for prediction of response to paclitaxel or doxorubicin in patients with breast cancer. To our knowledge this is the first report of drug-specific genetic signatures of resistance to paclitaxel or doxorubicin, based on a comparison of gene expression between isogenic wildtype and drug-resistant tumor cell lines. Moreover, this study provides significant insight into the wide variety of mechanisms through which resistance to these agents may be acquired in breast cancer. The authors would like to thank Drs. Maureen Trudeau and Kathy Pritchard for their support of these studies and for stimulating discussions. This work was supported by a grant from the Ontario Cancer Research Network (02-MAY-0159) and by core support funds from Cancer Care Ontario and the Northern Cancer Research Foundation.